To improve the efficiency of solving uncertainty design optimization problems, a gradient-based optimization framework is herein proposed, which combines the dimension adaptive polynomial chaos expansion (PCE) and sensitivity analysis. The dimensional adaptive PCE is used to quantify the quantities of interest (e.g., reliability, robustness metrics) and the sensitivity. The dimensional adaptive property is inherited from the dimension adaptive sparse grid, which is used to evaluate the PCE coefficients. Robustness metrics, referred to as statistical moments, and their gradients with respect to design variables are easily derived from the PCE, whereas the evaluation of the reliability and its gradient require integrations. To quantify the reliability, the framework uses the Heaviside step function to eliminate the failure domain and calculates the integration by Monte Carlo simulation with the function replaced by PCE. The PCE is further combined with Taylor’s expansion and the finite difference to compute the reliability sensitivity. Since the design vector may affect the sample set determined by dimension adaptive sparse grid, the update of the sample set is controlled by the norm variations of the design vector. 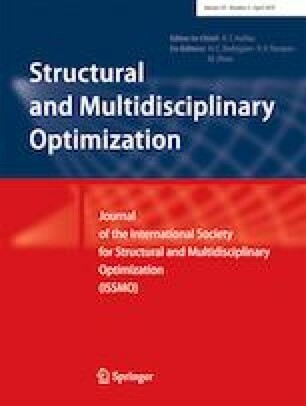 The optimization framework is formed by combining reliability, robustness quantification and sensitivity analysis, and the optimization module. The accuracy and efficiency of the reliability quantification, as well as the reliability sensitivity, are verified through a mathematical example, a system of springs, and a cantilever beam. The effectiveness of the framework in solving optimization problems is validated by multiple limit states example, a truss optimization example, an airfoil optimization example, and an ONERA M6 wing optimization problem. The results demonstrate that the framework can obtain accurate solutions at the expense of a manageable computational cost. The present work was partially supported by the Fundamental Research Funds for the Central Universities (Grant no. G2016KY0302), the National Defense Fundamental Research Funds of China (Grant no. JCKY2016204B102), China Civil Aerospace Program (Grant no. D010403), and the Natural National Science Foundation of China (Grant no. 51505385, 11502209).